Happy to announce that Mangled Fly Hats are coming soon. Working with ATS printing. Ask for Kallee, she does an amazing job. Will post when the hats come in. We will have two different styles to start. Trucker and more traditional both with the Mangled Fly Logo. Aaron sent in his picture of his first steelhead on the swing. Great fish Aaron, good job! Aaron was fishing with fellow guide, good friend, and steelhead finder Ed McCoy. Aaron is also sporting the Mangled Fly Hoodie, if you follow the blog you know this is one my personal favorite items for the fall, winter, and spring. Best hood of any sweatshirt I have owned. 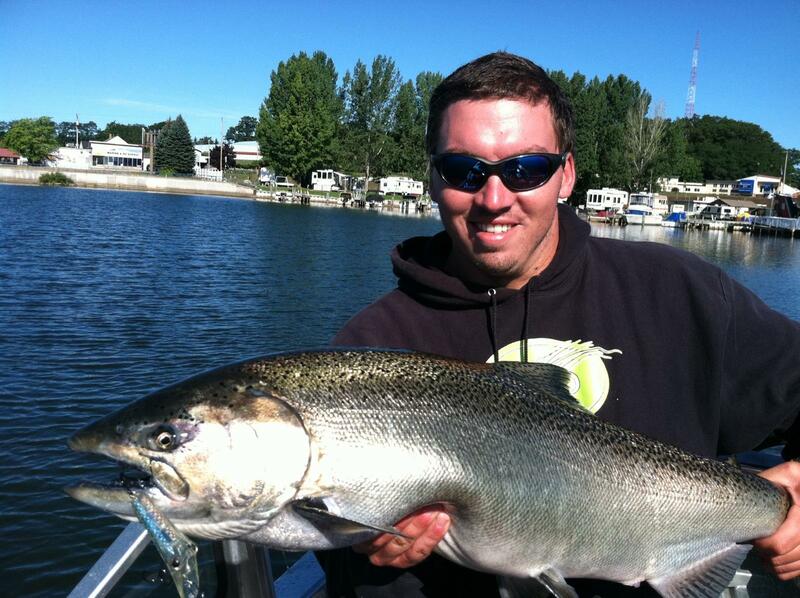 Thanks for sending in the pic Aaron, enjoy your steelhead season. 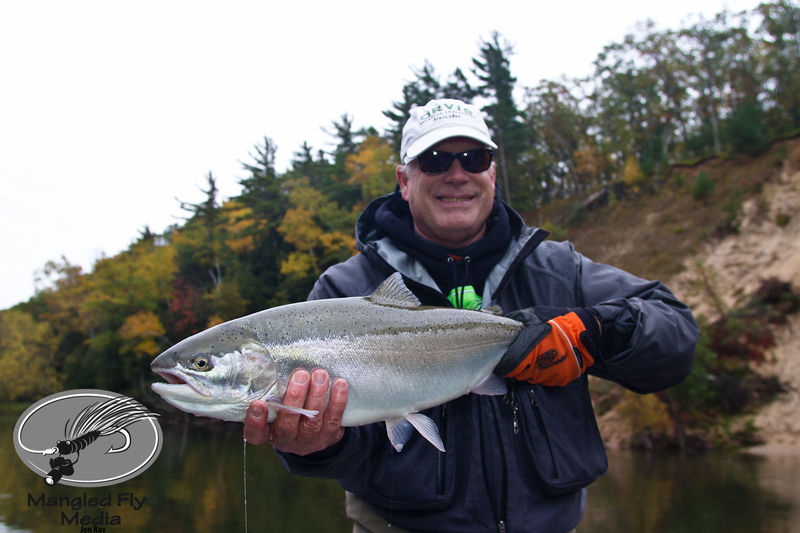 Dan C. with a super silver fall steelhead from the Manistee River. Dan also sporting a Mangled Fly Hoodie. (MFM green can barely be seen, but it’s there) With the forecast of 40’s and mix (rain/snow) the down puffs and hoodie will be a staple the rest of the year. Steelhead fishing is pretty darn good right now. Thank you Dan for a great day. Hoodies and steelhead have gone hand and hand for me for years. 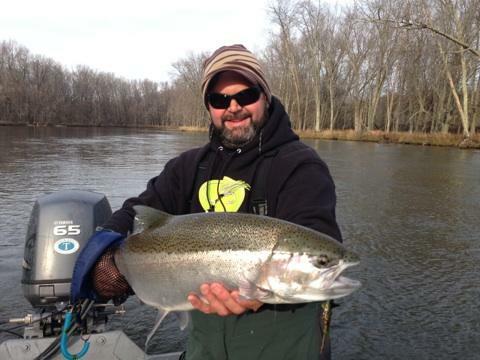 Chris Radar sporting his Mangled Fly Hoodie and great early run Manistee River Steelhead. 2013 Fall Steelhead season is under way! David S. pictured below with a great example of what my life will be obsessed with over the next 5 months. Fall fish look in great shape so far, they are big and they are mean. Can’t wait to stretch out some line and get the two-hander firing once again. David is also wearing the Mangled Fly Hoodie, great way to keep warm on those cold morning starts. One of the best Hoodies I have found, and personally I wear a hoodie almost everyday on the river. http://mangledfly.com/wp-content/uploads/2014/07/logo.png 0 0 Jon Ray http://mangledfly.com/wp-content/uploads/2014/07/logo.png Jon Ray2013-09-27 20:55:012013-09-27 20:55:012013 Fall Steelhead season is under way! 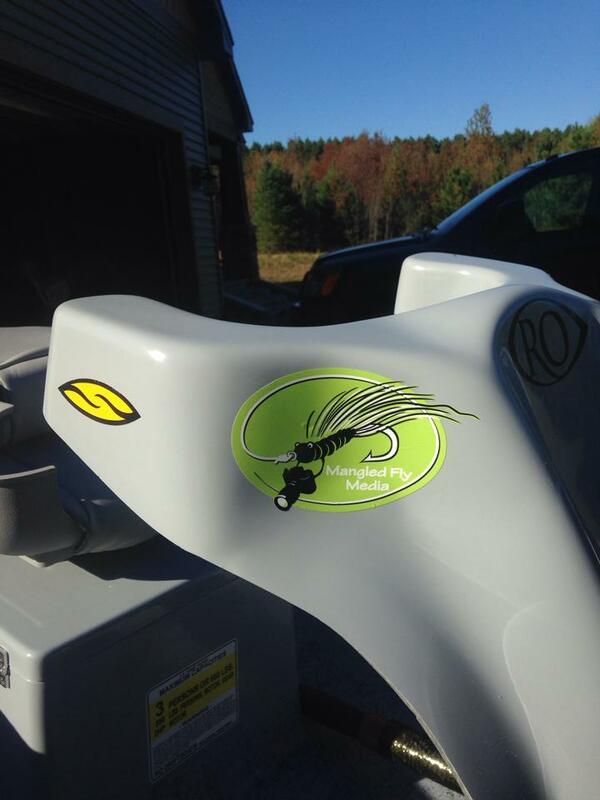 Bob Hinds sent in a picture of his new RO boat sporting a new Mangled Fly Media sticker. Looking good Bob, thanks for the picture. Just added a new product to our shop area, the Mangled Fly Media Sticker. This sticker is about 6 ” and is oval in shape. 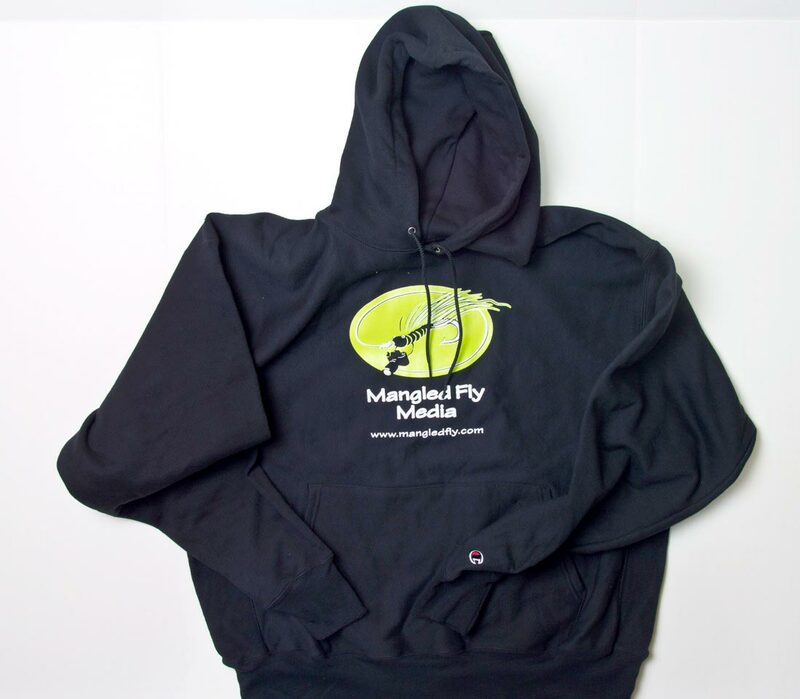 With the Mangled Fly Media logo, get yours today. Feel free to email me if you don’t want to put this on your PayPal account. Free shipping will be shipping via USPS First Class Mail. Happy to announce this new sticker. Thanks for all the requests. Capt. 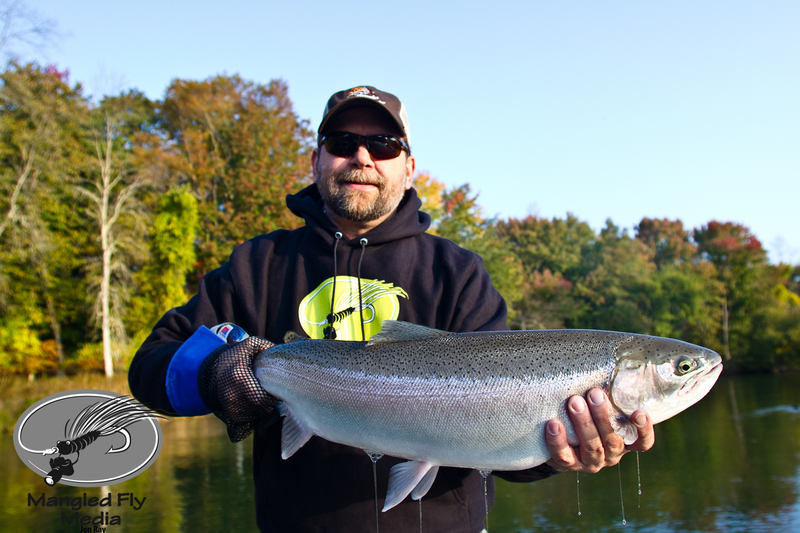 Lance Keane sent us this picture from yesterday (9/3), with a chrome King and his Mangled Fly Hoodie. With September rolling in and the north winds starting to blow, Kings and Hoodies are on the agenda. Still have plenty of Hoodies in stock, order yours today for your fall adventure.